One more loss and the Browns will join the 2008 Detroit Lions as the only teams to go 0-16. And the Browns will wrap up the season at AFC North leader Pittsburgh next week. Then again, the Browns (0-15) keep racking up losses no matter whom they're playing. They're 1-30 in two seasons under coach Hue Jackson. And after beating the then-San Diego Chargers on Christmas Eve last year, there was no holiday celebration for them this time. Defensive end Myles Garrett had what looked like a 42-yard interception return for a touchdown early in the third quarter wiped out because Carl Nassib was offside. Rashard Higgins lost a fumble near the goal line that Chicago (5-10) recovered in the end zone. Mitchell Trubisky threw for 193 yards and ran for a touchdown against his hometown team to help the Bears pick up the win in what might be coach John Fox's final home game at Soldier Field. With a 14-33 record, he could be on his way out after three seasons. 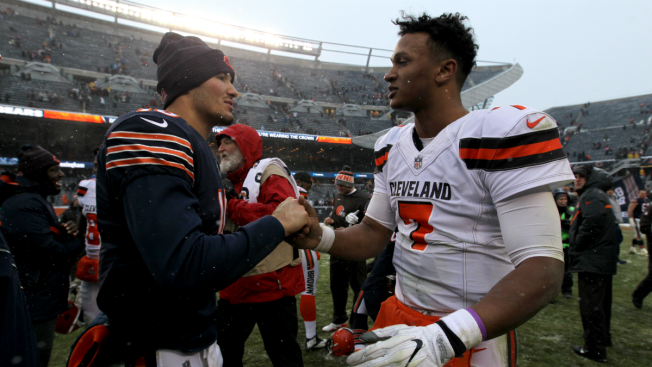 The Bears at least avoided the ultimate indignity in a season full of them by not losing to the Browns. Trubisky, who grew up near Cleveland, played a big role, completing 14 of 23 passes. He also scrambled for 44 yards, including a 4-yard touchdown in the third quarter. Jordan Howard ran for two scores, and the Bears came away with the win after dropping six of seven. The Bears were leading 6-3 when Garrett had his big interception return wiped on the first play from scrimmage in the third. And the Bears drove 60 yards on four plays, with Howard scoring from the 16. Trubisky made it 20-3 when he scored on a 4-yard draw. That capped a 12-play drive that Howard kept going with his 8-yard run on fourth-and-1 at the 15. 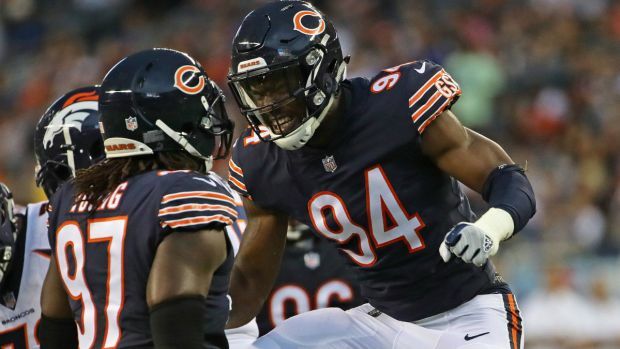 Danny Trevathan then stripped Higgins at the Chicago 3 after a 17-yard reception near the end of the quarter, and the Bears' Prince Amukamara recovered the fumble in the end zone. Browns: DE Myles Garrett got poked in the eye on the first play of the fourth quarter but returned to the game. Bears: RT Bobby Massie suffered a knee injury in the first quarter and played through it. ... G Josh Sitton (ankle) and TE Adam Shaheen (chest) were inactive. Browns: At Pittsburgh on Dec. 31. Bears: At Minnesota on Dec. 31.